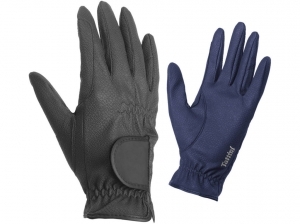 New techno leather gloves from Tattini. 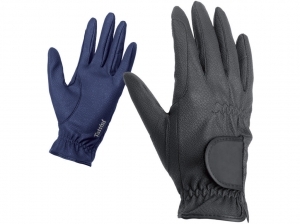 Extremely soft, comfortable, does not hinder, moreover it helps the fine handling of the reins. For all seasons. In techno suede fabric, unlined. Extremely soft, they offer a unique comfort and close contact with the reins. Strap fastening and finger reinforcements. XXL size only in black. In techno suede fabric with micro-lining. Extremely soft, they offer a unique comfort and close contact with the reins. Strap fastening and finger reinforcements.